Today we have a special treat! We got to chat with our friend and Flipper University student Anthony Frye and see how he's doing with his reselling business. Anthony has been reselling for about a year and a half now, but didn't get really serious about it until about 4 months ago. He had been doing it part time (only about once per week) and mostly selling clothing and making a few dollars on each sale. 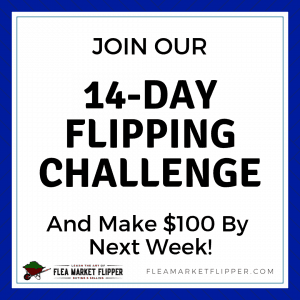 Anthony has now been able to make over $1,000 in just one month's time! Not bad for a side gig! Is a reselling business for you? 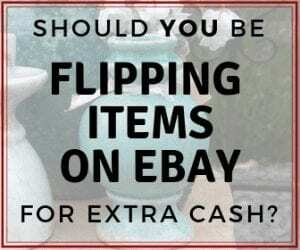 If you are intimidated by all things with eBay, don't be! Technology these days makes using eBay so much easier compared to what it was years ago. You can practically run your whole business from your smart phone now. We love seeing people be able to fill the gaps in their finances from their reselling business. It's our life and we love it, and it's so exciting when we get to help others out doing something we love to do. 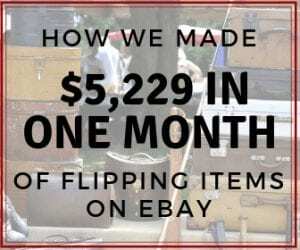 If you love going to thrift stores, yard sales, and flea markets, or just finding great deals from Offer Up and Let Go, then this might be something great for you. 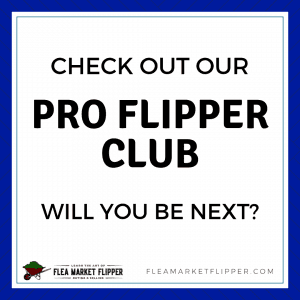 Check out more info on Flipper University to see if it could be a good fit for you to help bring in an additional income. Anthony mentioned that he's not intimidated anymore about shipping larger items. If you haven't already, grab our (free) pdf download 3 Ways to Save Money on Shipping. 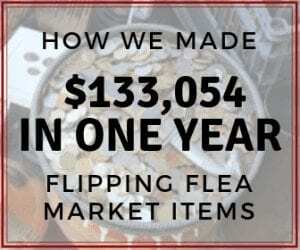 This will also subscribe you to our flea market flips and eBay tips updates. We promise not to flood your inbox (we hate that too!) And you can unsubscribe anytime. 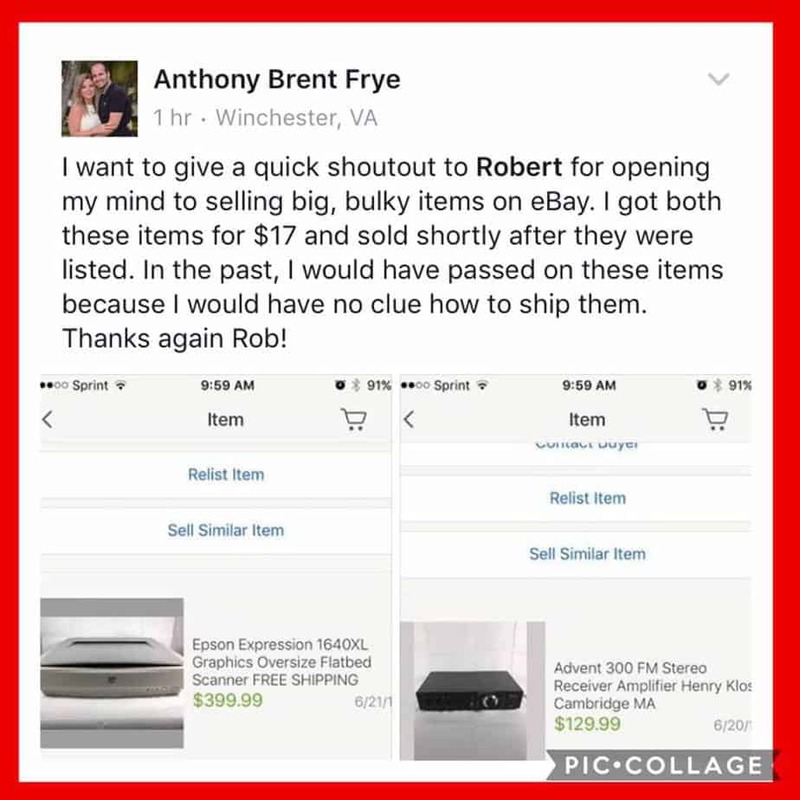 At the end of the video, Anthony also mentioned expanding his reselling business on Amazon. We aren't expert Amazon sellers (Prime buyers YES! Sellers, no.) But our friends Cliff and Jessica Larrew at The Selling Family do an amazing job with their own Amazon business, and have tools set up to help people be successful in their own Amazon business. 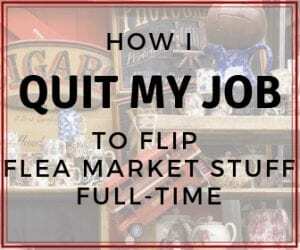 What is stopping you from starting your own reselling business? Comment below! Hello Rob, I’m from Brunei (very small country with very small population). Its pretty expensive shipping anything to or from Brunei. There’s not a lot of platform to flip locally. Do you think your course would be applicable to my context? Hi Joyce! I’m sure a lot of the principles would work the same. You would just have to expect the shipping to eat into a little profit. Unless you ended up shipping a lot inside the country. You don’t have any local apps that you can sell on? Facebook Marketplace? OfferUp? Craigslist?